Hi friends! A very popular reasonably spiced north Indian preparation.It is a tasty combination of husked moong dal and masoor dal . Dal fry is very delicious quick and easy to make. Wash well and soak moong dal and masoor dal for ten minutes in 500 ml of water. Pressure cook on high flame the dals in the same water in which it was soaked, with salt, turmeric powder and the red chili powder. The moment full pressure is formed,Switch off the stove.Let the cooker cool down to room temperature, remove the cooked dal in to a serving bowl. Heat the ghee in a pan. Add the cumin seeds, when cumin starts crackling add chopped onions sauté till golden. Add minced garlic saute till light golden add green chili. Add this seasoning to the dal, simmer for two minutes, add lime juice and remove from heat. Serve hot. 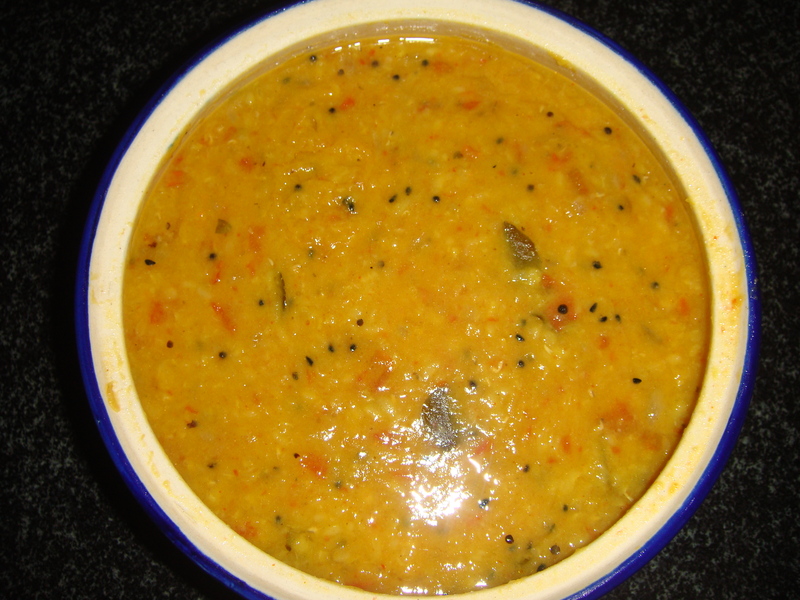 Moong Dal:Moong dal is a dieter friendly dal. This type of dal has minimal calorie and is a rich source of iron and potassium. moong dal is hailed has the healthiest among the dals. Others like masoor dal have health benefits too. Masoor Dal : Masoor dal is very good for people suffering from bile reflux, and it also improves the blood circulation in the body.